“Hoy, Sala !” in Kannada language means “Strike Sala !”, a dialogue that comes from Kannada folklore. As per the story, a young boy called Sala fought with a lion (or tiger) and saved his Jain Guru named Sudatta. 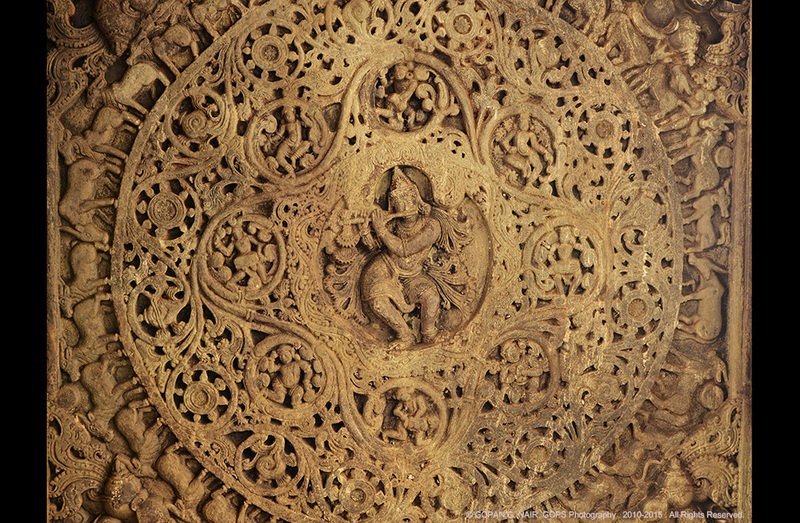 The young warrior became the founder of an empire called ‘Hoysala’ and a depiction of this incident was adopted as the emblem of Hoysala dynasty. 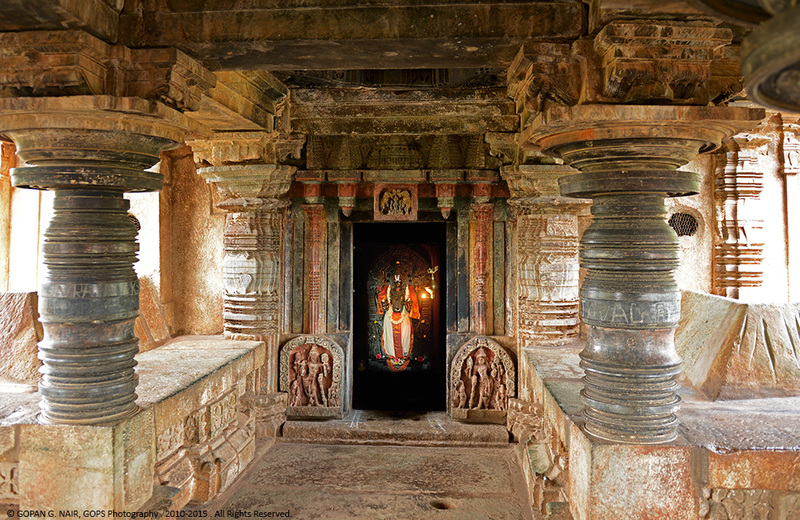 Click the name of a temple to go through a photo tour. 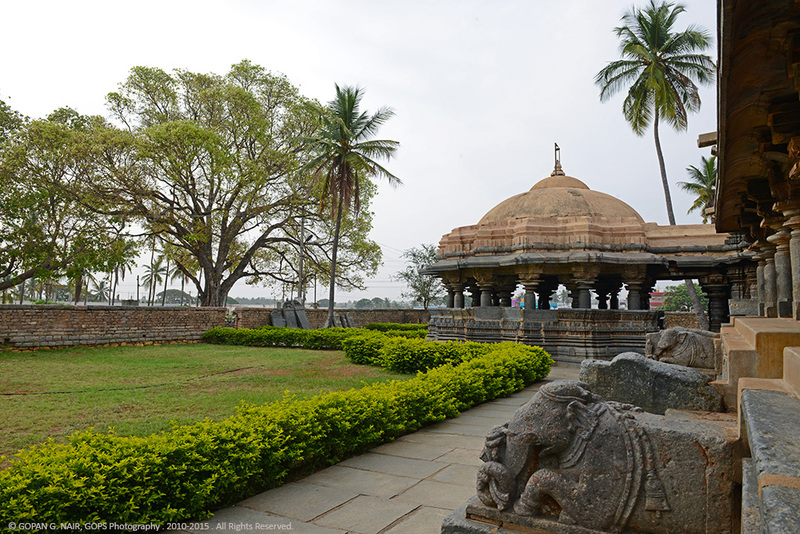 Belavadi is a little village located 10 km north-west of Halebid (Halebeedu), the ancient capital of Hoysala kingdom. 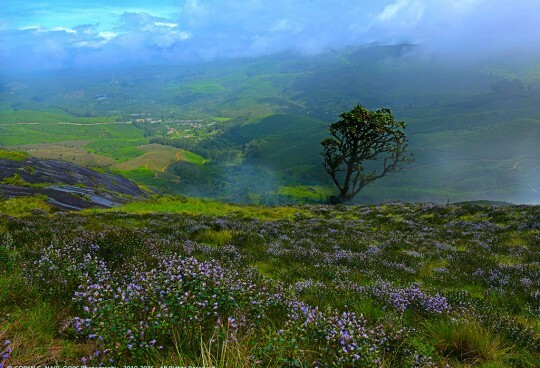 Belavadi is also known as Ekachakranagara which lies 29Km from Chikmagalur, and a centre for several magnificent temples. 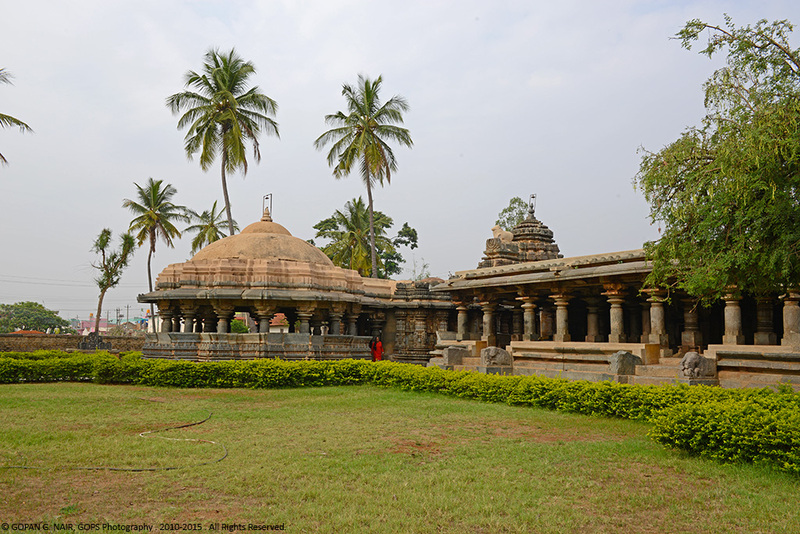 Sri Veeranarayana Temple at Belavadi is one the best examples of typical Hoysala architecture. 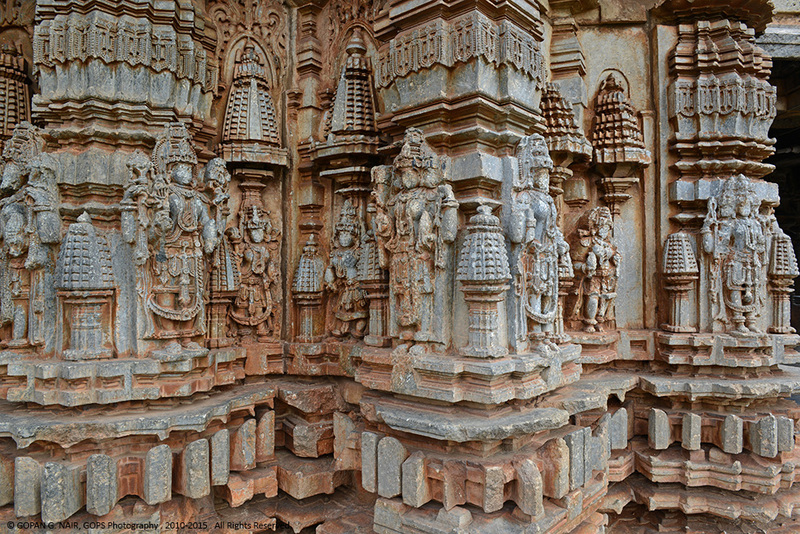 This temple also follows the soap-stone structures of other Hoysala masterpieces. 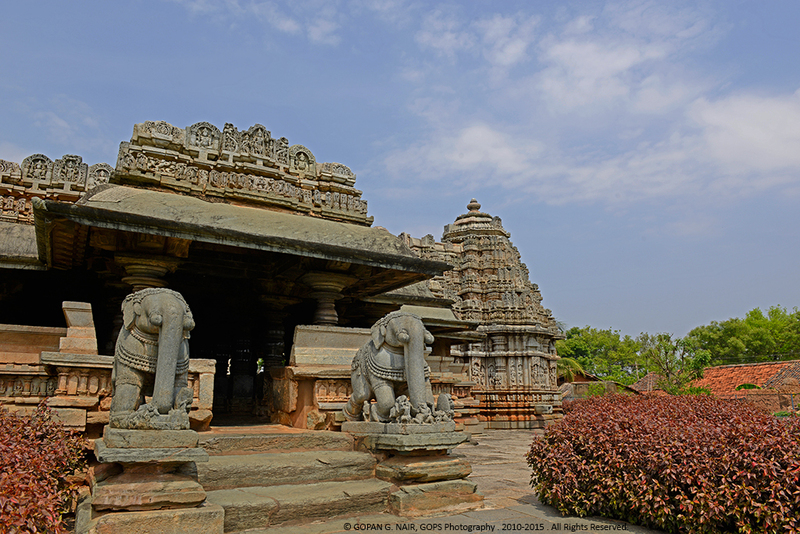 This temple was built by King Veera Ballala II in 1200 AD. 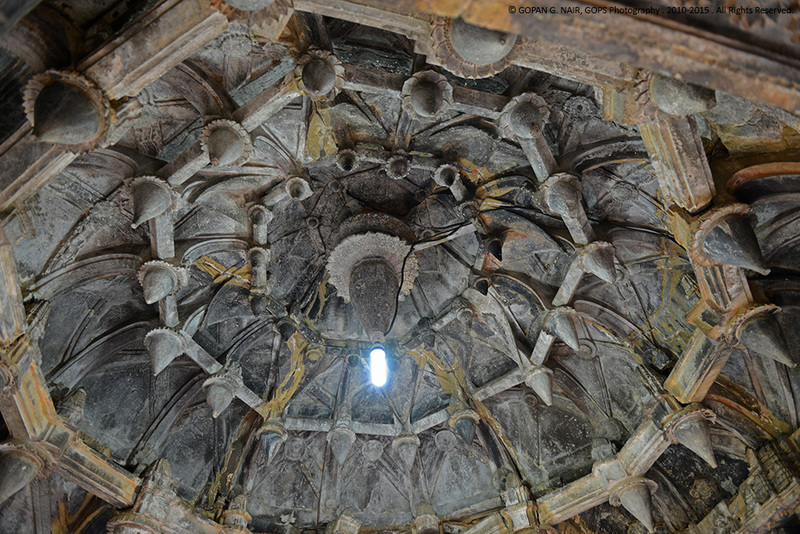 There is a grand entrance decorated with elephant statues on both sides. 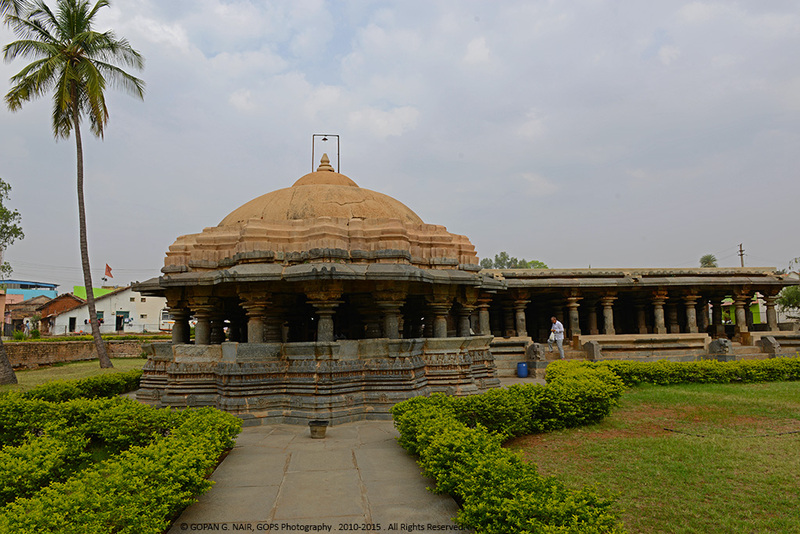 It has a trikuta structure (three shrines), every shrine has a complete superstructure (tower on top of shrine), the main idol of Sri Veeranarayana in the center facing East, Sri Venugopala (Krishna) facing North and Sri Yoganarasimha facing south. The spacious mantapas are supported by a large number of lathe-turned stone pillars. The Venugopala idol here is believed to be the most perfect and beautiful one that exists today. 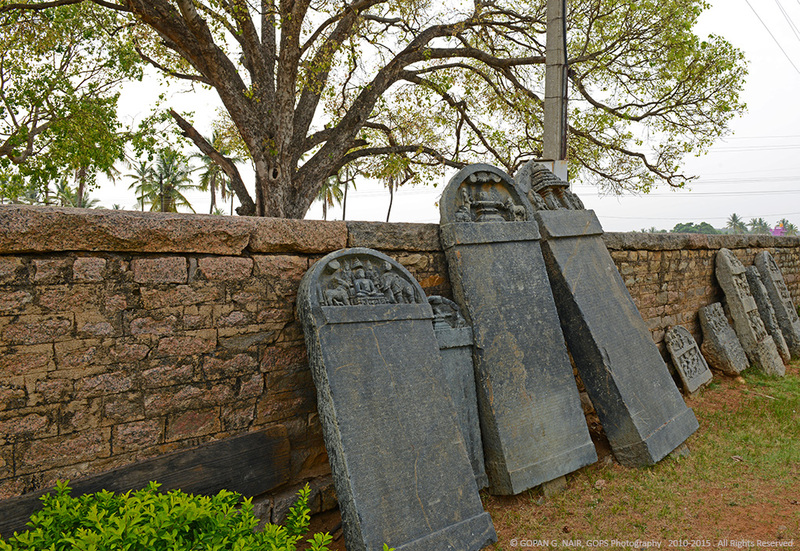 (Distance 251 Km) Bangalore – Nelamangala – Hassan – Belur – Halebid – Belavadi. (Distance 227 Km) Bangalore – Nelamangala – Hassan – Hagare – Halebid – Belavadi. Arsikere in Kannada language means the ‘Queen’s Pond’. 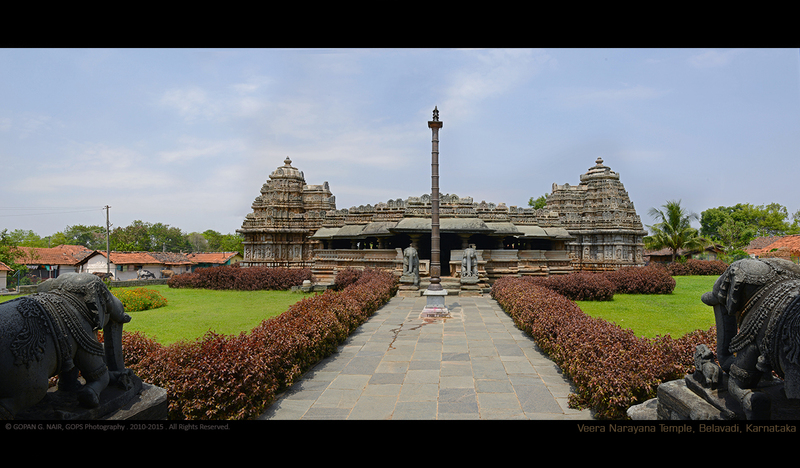 It is a small town located in the Hassan district of Karnataka, which is famous for the Shiva temple (known as Shivalaya, Ishvara Temple or Chandramouleshwara temple) built by Hoysala King Veera Ballala II in 1220 AD. 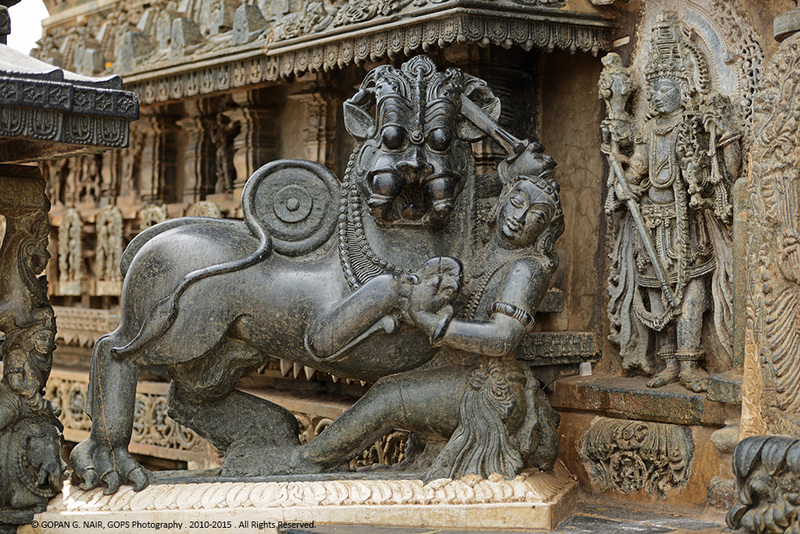 Like any other Hoysala construction, this temple has also been built using soapstone with breathtakingly beautiful sculpures and intricate carvings. 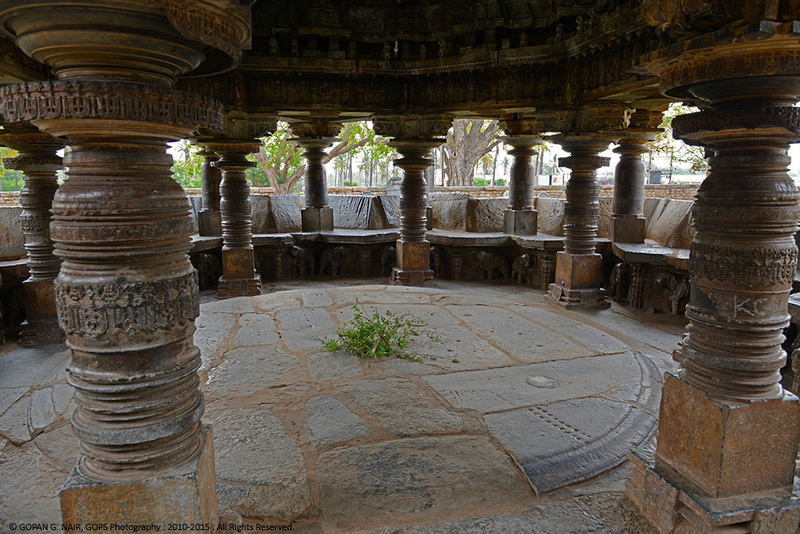 This temple has an extraordinary feature compared to other Hoysala temples, which is a 16-pointed star shaped mantapa (hall) with a dome covering it. 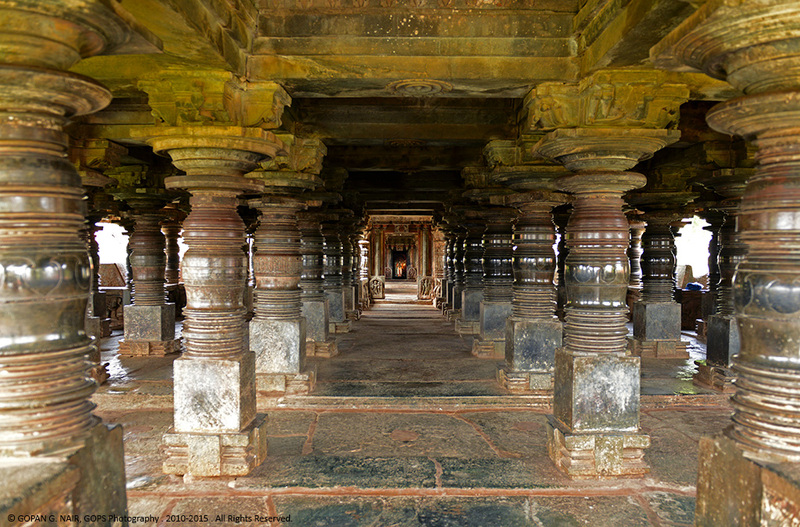 The richness and grandeur of Hoysalas is evident in every corner of this temple. (Distance 194 Km) Bangalore – Nelamangala – Baragur – Arsikere. “Marvelous” is the best word to describe this !!! Felt as if I had been there !!! Thank you very much dear Sir. Your usual support is invaluable.